For absolute beginners. Learn how to make a slip knot, a chain and the single crochet. First lesson is a double-sided potholder. 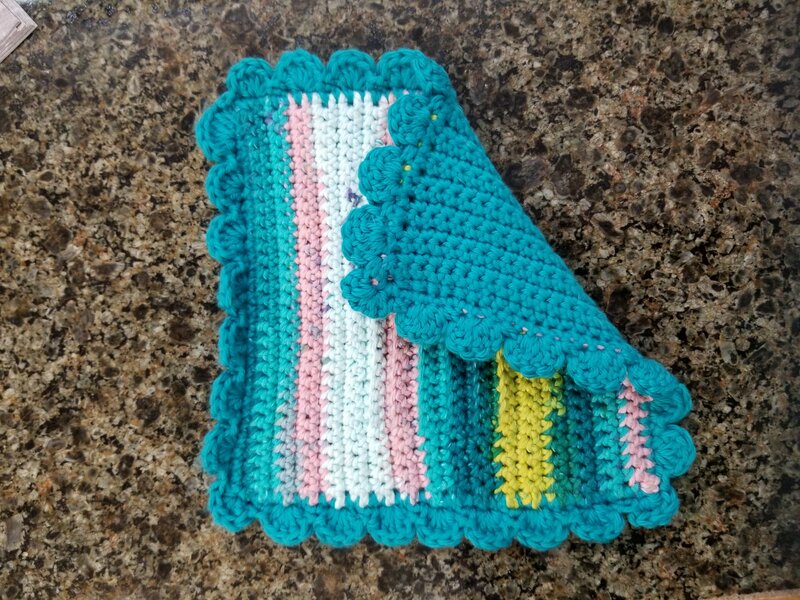 The second session will introduce double crochet and increases as you connect the two sides with a border.